Photo courtesy of the Pristach family. Pristach’s operated at 1634 Bailey Avenue until 2010, and as far back as 1934. A classic East Side tavern, Pristach’s is clad in soot-besotted blond brick. A curved building corner denotes a chamfered entrance, glass block frames barroom windows, and a tin ceiling remains virtually untouched. 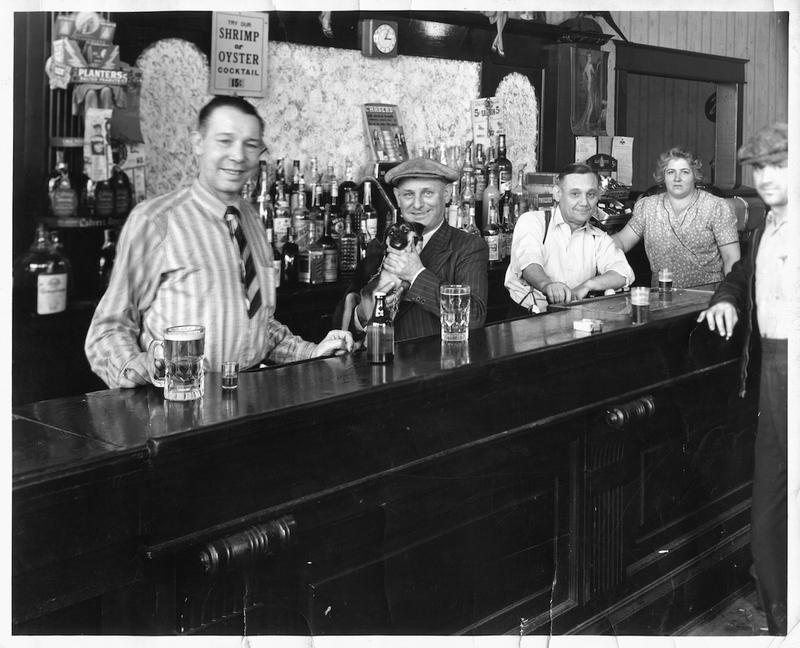 In this photograph, dated to about 1937, the Pristachs gather with customers to enjoy a few brews. A 15-cent shrimp or oyster cocktail is advertised behind the bar, still intact.